I got this recipe from Good Housekeeping, but I had to adapt it a little since I didn't have some of the ingredients. Meanwhile, in 12-inch nonstick skillet, heat oil on medium 1 minute. Add onions and cook 3 minutes, stirring occasionally. 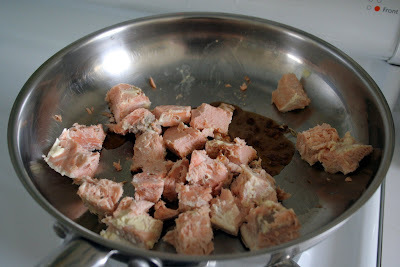 Season salmon with 1/8 teaspoon freshly ground black pepper. 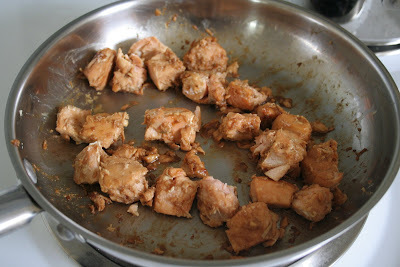 Add salmon to skillet and cook 7 to 8 minutes or until opaque throughout, stirring occasionally. 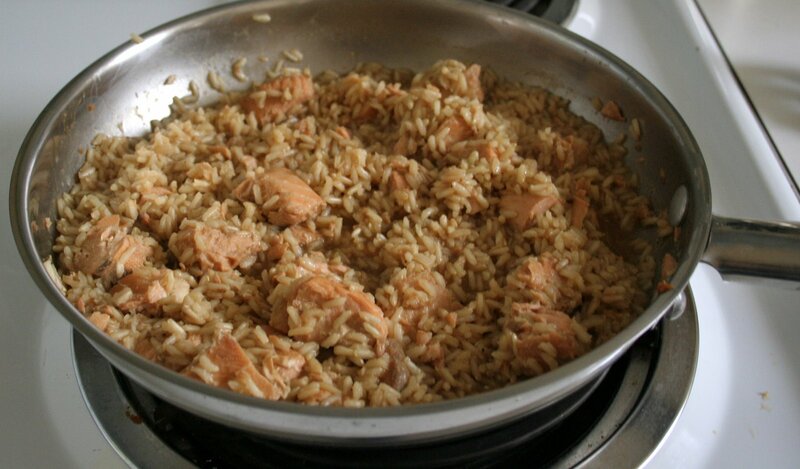 Remove skillet from heat; spoon off and discard any fat, but leave salmon in skillet. Definitely would have been prettier with green onions!